Recently, a friend and I took a morning paddle from his house located in South Bethany out to the Little Assawoman Bay. We’ve been doing this together since we were kids and these trips were my first introduction to Delaware’s Inland Bays. Today, these trips are a way keep an eye on how they are changing. As soon as we hopped in my friend’s canoe, I noticed a clump of floating grass on the surface of the canal water. Excitedly, I picked it up and showed him – Widgeon Grass! Widgeon Grass is a slender, stringy plant that looks brilliant green in clear water. It can be found both fully-submerged and rooted into underwater sediments, or floating around, should it become dislodged. Its name comes from one of the many species of waterfowl that just love to eat it: the American widgeon. Not only does this grass provide food for wildlife, it helps hold sediments in place and produces oxygen which keeps our waters clear and healthy for fish and crabs. Like all submerged vegetation, it will only grow in water that is clear enough to allow light to reach the bottom. 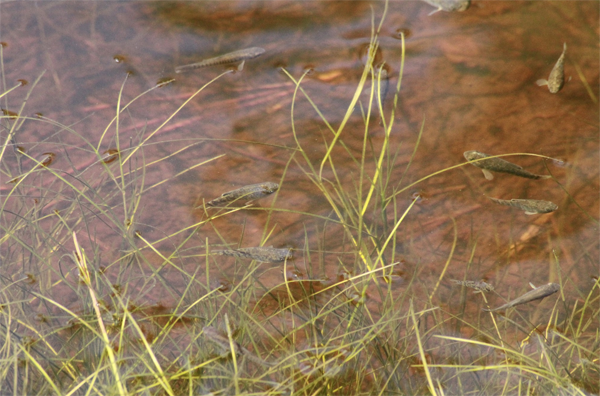 For this reason, its presence (or lack thereof) can be a good indicator of water quality. Widgeon grass is what you call a “generalist”; it tolerates a wide range of salinity (the measure of all the salts dissolved in water) and it can grow roots in many different types of sediment. It also seems adaptable to climate change. In fact, in parts of the Chesapeake Bay, it even appears to be replacing eelgrass, another formerly-abundant aquatic species found in our Bays! Delaware’s Inland Bays used to have lots of submerged aquatic vegetation like this. But now, due to nutrient pollution, there are hardly any of these beautiful bay grasses left. Seeing some floating by us as we paddled, was a sign that the Inland Bays are headed in the right direction. Water quality has been slowly improving in parts of Little Assawoman Bay. The hope is that keeps up so that these grasses can take hold and stick around. 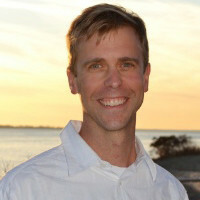 Chris Bason is the Executive Director for the Center for the Inland Bays. With the Center, he has been responsible for assessing the health of the Bays and synthesizing environmental research to educate the public and decision makers. He also conducts and coordinates research and water quality improvement demonstration projects. 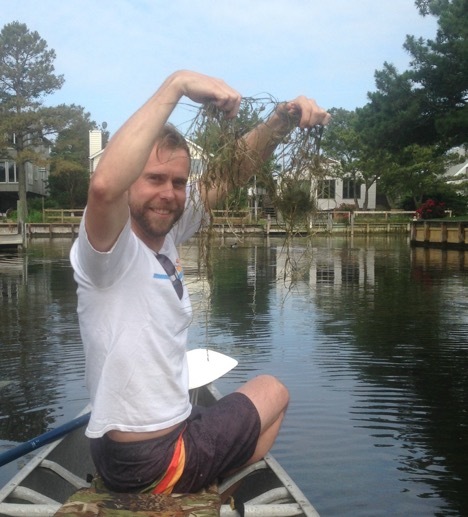 This entry was posted in Staff Blog and tagged bay grass, bethany, little assawoman bay, south bethany, water quality. Bookmark the permalink.